If one thing is certain, it's that we're excited to see where Disney goes with both of the Star Wars television series they're working on. With their upcoming Jon Favreau production, The Mandalorian we'll get to see a whole new set of characters we've never seen before. 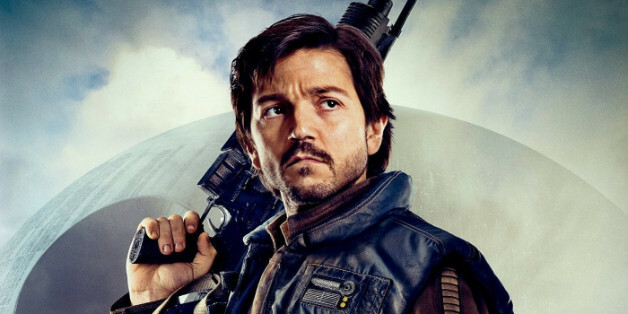 And we're also getting a show that will be centered on one of Rogue One's lead characters, Cassian Andor played by the talented Diego Luna. At Variety's Inclusion Summit, the actor discussed his excitement with his return to the galaxy of Star Wars but also reveled in the idea that he will be de-aged for the series. Considering his character was killed in Rogue One, we imagine the series will be taking place years before the events of that film, making him quite a bit younger and maybe less battle weary. Check out what he had to say in the video below.